The Legend of Zelda series has always featured the young hylian Link as the hero that the player is in control of and this is no accident. Shigeru Miyamoto designed the game with the intent of recreating the feeling of exploration he had experienced as a child, exploring the forests and foothills around his home. Towards that end, he named the hero "Link" to signify the literal link that the hero provided between the gamer and the world of The Legend of Zelda. So although Link is based on a young boy, the character is ultimately supposed to be inclusive of anyone playing the game. Honestly to call him a "link" to the player in this day is bewildering. He is a silent generic protagonist, whose appearance and actions story-wise we have zero control over. Majority of other games allow players to choose the main character's name, appearance, gender, love interest , fate, etc. You get zero choice in The Legend of Zelda, even though recently other Nintendo games have given players some identity including Pokemon, Animal Crossing, Fire emblem and most recently Splatoon, which allowed players to at least change their skin tone. Link is supposed to be a "link" between the player and game. For proper immersion, he/she should be customizable to an extent, players should have options to play around with different skin tones, hair colours/styles, eye colors and changes to their nose, eyes, lips etc. Since The Legend of Zelda once made the bold proposition that players should be able to name their heroes, is it really so necessary for Link to retain his traditional usually-blond-but-sometimes-brown haired young man appearance? After all, today it's easier than ever for players to customize their own characters and change their avatar's appearance to the look they prefer. Many will agree that gaming has evolved over time, Zelda has been surpassed in the "player-avatar" department, but at the same time, Link has remained fairly traditional - ever the silent protagonist - even as the games' stories grow more complex and engaging. That's not to say that traditional Link has no place today but for those players who really feel that connection to Link that Mr. Miyamoto described, who find the act of naming their characters to be important to their Zelda experience, we feel that there can't be much harm in offering additional customization options. For the most part, these could be mostly cosmetic options for the character, skin, hairstyle and eye coloration, possibly build and stature, not the removal of the trademark green garb or anything like that. With the arrival of Miiverse, fans now have the opportunity to create their own content based on their play experiences in the form of screenshots (and sometimes video clips) from their favourite games. Miiverse is designed for this kind of sharing of experiences, while offering character customization options. Allowing players to truly insert themselves into the adventure - would only heighten the sense of ownership players have over their activities in The Legend of Zelda series..
Because let's face it, sharing a screenshot of Link decked out in his best gear, taking down a tough enemy or looking out over a fantastic view - that sounds awesome. But sharing a screenshot of our own personal Link in the midst of those same experiences... well, that sounds pretty awesome, too. Eiji Aonuma once stated he doesn't intend to compromise that there's only one Link out there saving Hyrule. But as Mr. Miyamoto says, Link serves as a means of connecting many players throughout the world, each of whom names Link at the start of their adventure. In 2013, The Legend of Zelda producer Eiji Aonuma told LA Times..
"It's not that anyone is telling me we have to change the formula. I want to change it. I'm kind of getting tired of it. If I'm getting tired of it, then I'm sure other people are getting tired of it. There is an essential 'Zelda' I fell we need to stay true to. We are still testing things, exploring our options. We haven't landed anywhere at this point. We're still seeing what we can do." 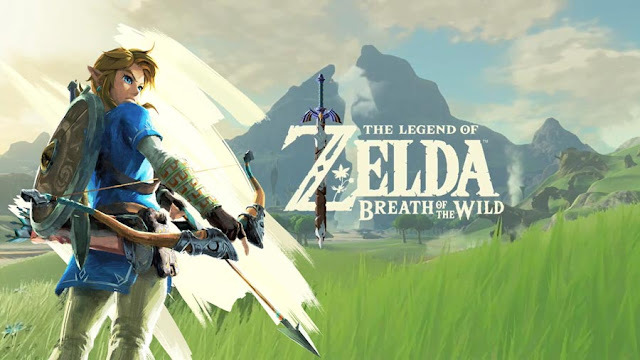 In an 2014 with interview, Eiji Aonuma told Kotaku that he was completely open regarding playable female characters in the next Zelda game for Wii U. Aonuma stated that there were already playable female characters in the form of Zelda and Midna in Hyrule Warriors, but if that lures more girls to play the game then it's something he may consider for the future Zelda title. Aonuma finished by saying that his crowning goal is to have as many people as possible enjoy Hyrule Warriors as possible and then he will take things from there. Which opens the door not only for gender representation but much more, especially if Aonuma was sincere with his words. On the other hand, Link has not only become an iconic character, but also a symbolic representation of Nintendo. A number of gamer know who next to nothing about the video game business still recognize Link when they see him. Sure, they may call him "Zelda", but the matter of the fact is that his appearance has become engraved into the history of gaming. Think of the faces of the gaming industry in terms of unforgettable characters; Mario, Donkey Kong, Samus, Kratos, Lara Croft, Crash Bandicoot. All these these characters are known by the entire gaming community based soley on their appearance, and Link is right up there with the most recognizable of them. Either way, what if we desire to play as ourselves? What if we lust a plot where the hero is in reality imperfect. At this point some would debate, "Then play another game"/ but here's the thing: we don't want to play another game. We in fact want to figure out the riddles we know only the Zelda series can bring to the table, but as a avatar symbolizing us rather than the other way around. Those who fall into this category realize that Link is an iconic symbol , and he can never be. nevertheless, as Link's visual aspect has transformed mildly throughout the franchise, why can't more options be made accessible at once to choose from? They will all match Link's look, but the insignificant details would be chosen to allow the player to conjure some individual creativeness into the character. Who's to say we can't change Link's skin tone or his hairstyle, which still remains blonde? What if we prefer Link to be shorter? Taller? More muscular? More lean? These are small changers that still gold the overall characterization of the hero we all know and love, but all for some individualism. It would be like comparing the Links of Twilight Princess and A Link to the Past. There is a visible change in appearance, but the key notes of the character are still present. Those who fall under this ideology want the hero to embody themselves. They want to be immersed in a world outside of their own, but as themselves. They want to feel like they have the opportunity to be all of those things. Most, if not all, of these people understand who Link is as a character and aren't looking to completely alter him to their own appearance. What they are looking for is a chance to validate their own traits as something of worth. 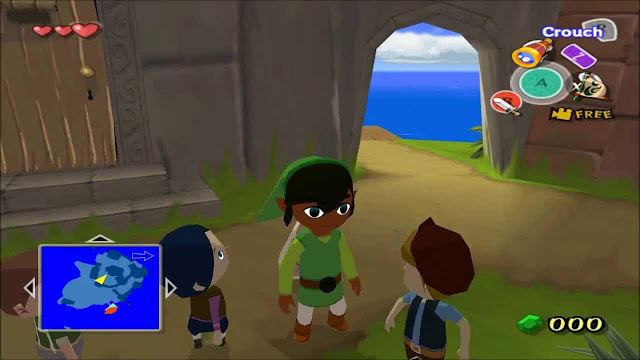 In 2014 a Youtuber known as LasagnaPie made a pretty solid skin tone mod which was created in the Dolphin emulator for The Legend of Zelda: The Wind Waker. The modification to Link's complexion just shows us how easy it to change a part of Link's visual aspect without affecting the default character, story or game in it's self. This is just one aspect of customization but already it gives you the feeling of personal identity which unfortunately Nintendo's biggest RPG franchise is lacking. Link is you and it's time that The Legend of Zelda series started taking what that means more seriously. What about a Female Link? While The Legend of Zelda hero Link has always been a male character, Nintendo or perhaps Koei toyed with the thought of a girl variation of the Hero of Time in creating Hyrule Warriors. The potential character design was revealed in scans of the game's Japanese art book. Most recently Nintendo missed the opportunity to give players deeper customization and gender options in their latest Zelda game. The Legend of Zelda: Triforce Force allows for as many as three players playable characters, but they are all boys because that's how Nintendo planned the story, said game director Hiromasa Shikata in an interview with IGN. Tri Force Heroes is a multiplayer game which includes three different interpretations of Link, one in his long-standing green tunic, the others in red and blue. Up to three players can step into the boots of those Links and search dungeons together. The setup is akin to The Legend of Zelda: Four Swords and The Legend of Zelda: Four Swords Adventures on the Game Boy Advance and GameCube, respectively. "The story calls for this sort of legend/prohecy where heroes will come together to help solve a problem," he told IGN. "And in that, they are male characters. So, because the game is set with that as the story background, you cannot choose a gender; you are a male character." When further pressed on the issue, Hiromasa said, "we do have a lot of female staff members who are playing this game and enjoying it. It doesn't seem to be a big issue to them.. And to be honest Link isn't the most masculine of guys in the world, depending on who you project yourself into the character." Link is you and it's time that The Legend of Zelda series started taking what that means more seriously, because in the end giving players more options never hurt anyone. I honestly wouldn't mind too much having a customizeable Link, this is 2014, not the 1980s. I love the idea of a customizable Link. And as long as you don't HAVE to customize, it shouldn't be a problem for long time fans of Zelda as well. Character customization would be amazing. I would love to be able to choose what Link looks like, and i agree, green should stay. People who fear change; Zelda has the ability to grow out to attract other audiences now and there are clearly many of us who exist would appreciate the customizing, if you don't like it, you don't have to use it. these changes would be optional, not permanent to the game. you still want your adult blond tough green clad hero, you can go play as him still. those of us who are interested can have fun customizing. thus forming a result that can still appeal to both types of players. Instead of forcing players to play a character of a certain race/skin color, spend the extra time to allow customization. 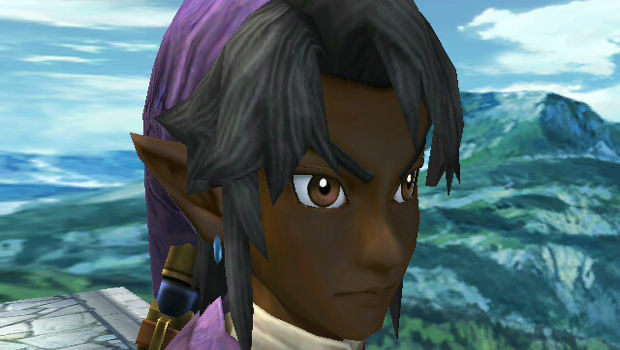 If you wanna play as Black link go ahead, Asian link do it, w/e. How about a Link that doesn't look like a prepubescent boy band member. I'd love character creation options that allow people to represent themselves and truly be 'linked' to the world instead of sticking with plain old Link as we know him. 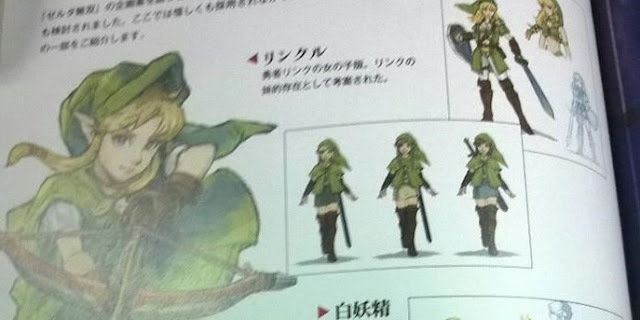 Of course, keep in the original design as the default for the Male side of things and maybe create a female version like the concept art for Linkle from Hyrule Warriors development. That would allow the brand to keep its strength and keep a sense of familiarity for those whole only see the blonde-haired, pseudo-elven pretty-boy as Link and let other people mix it up as they please. That said, this is Nintendo. A company that has been relying on primarily the same franchises since they rejuvenated games during the 80's and are only just putting stable online into their games on hardware with power from several years ago. Expecting them to change things up radically in any way isn't a smart bet. Link is an androgynous elf with a green outfit. Allowing the player to change the skin colour or gender of the elf in the green outfit doesn't make the design unrecognisable. If it was a bit like Pokémon X/Y's system where it was pretty much just gender and skin colour but the main look was the same between them it would allow them to have a strong main design much like the trainers have official designs despite the customisation options. So for merchandise, promotional and spinoff/cameo purposes Link is still a white male to keep the brand as is, but within the game the player can be something else. Nintendo if you want it to represent players, maybe you should have the main character be customizable for once in the entire freaking series. I like the idea of character customization in the Legend of Zelda. It really works in any game. Every person has their own customization that fits their personal style and unlocking all the costumes would be nice for replayability. The thing I hate about Zelda at this point is that they still push Link as an avatar for the player to insert themselves into, but he moved beyond that into being a full character, albeit a boring and undeveloped one. I think they should either let us go full customise or actually develop Link. Seeing as the only traits the playable avatar in the Legend of Zelda games have ever had are white skin perplexion and seemingly "male" gender I'd say why not make it customizable? As far as I know it's possible to have played damn near every LoZ game and never be referred to as "Link". You name the hero before you even begin playing. Link truly is what your imagination makes of him, the option to customize him suits the series and in-fact Link may well be the only Nintendo character where this mechanic would be possible without impacting anything to do with the character's pre-existing persona. Hell, not to mention the constant reincarnation. You don't even play as the same Link half the time. Link is an established character and all, but to be honest, I don't have a problem with this idea at all. I think it's actually a wonderful idea. I don't think people really play the Zelda games because Link is such a well fleshed-out character; he's really not. But he is a link to the player holding the controller, and I'm sure I'm not alone in saying that when I play a Zelda game, I AM Link. Link is a vessel for the player to explore Hyrule and solve puzzles and go on a grand adventure, so what's the harm in letting the player dictate his or her appearance? I also know that having a customizable main character really helps one immerse into the role, and makes a game a lot more fun. No reason not to be able to customise race or gender. With Link being little more than a cardboard cutout and it being an option those that wish to play with a default appearance would be able to while those wishing to personalise the character would be able to also. One players choice in their game isn't going to affect another persons playthrough. 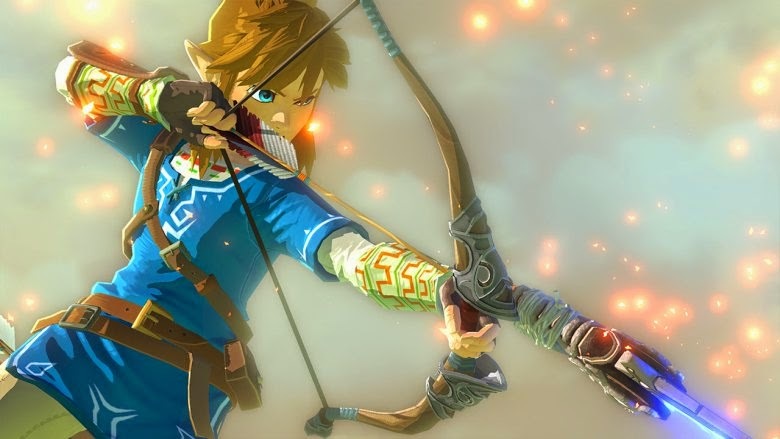 I have been saying this forever, The legend of zelda is lacking connection between player and avatar. That applies with other games with avatars (in my opinion). I don't get how you can self insert into a cardboard thing and maybe? imagine yourself in the character when clearly you can't say anything to npcs. I think it would be interesting to customize Link. I mean, you already name him whatever you like and in games like OoT and TP you could change his clothes (given that the tunics served specific purposes, but oftentimes in OoT I just kept the Water Tunic on because I liked blue Link). Since Link is a silent protagonist I don't think choosing the gender would be a big issue for the story either, especially if there wasn't a love story involved. The only trait that needs to stay constant throughout the games in my opinion is Link's hat and at least the option to have default green clothes. Oh, and a sword. 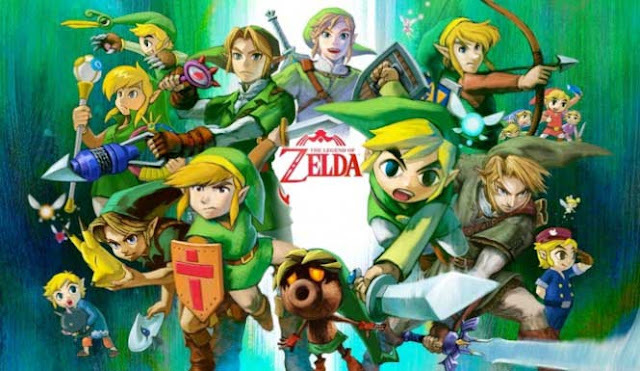 Zelda is my #1 favorite video game series of all time and if I had the ability to customize Link and go adventures with my very own Link creation I'd absolutely love it.